Just one week ago, over an estimated one million people gathered in Denver to celebrate the Denver Broncos’ Super Bowl victory with a parade. The city, transformed into a sea of orange and blue, was filled with jubilation, excitement and pride; feelings that still linger today. Nearby, the Colorado Avalanche gathered at the Pepsi Center for a morning skate, preparing for that night’s contest against the Vancouver Canucks. They would fall in the game 3-1, in front of a crowd spattered with a large collection of empty seats. 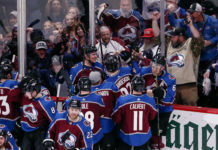 At the end of football season, Coloradans used to turn the attention to the Avalanche, who would undoubtedly be gearing up down the stretch, preparing for a long, deep playoff run. In the late 90’s, the Pepsi Center (and its predecessor McNichols Arena) would be filled to capacity every night the team was in town. My, how times have changed? 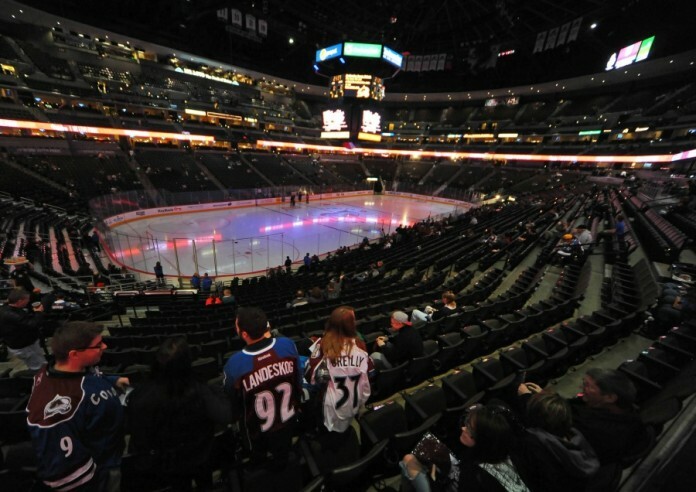 In 2006, the Avalanche saw their home sellout streak, which started shortly after their arrival from Quebec (eight games into their inaugural season, in fact), come to an end. In the decade that has passed since, sellouts have become increasingly few and far between, with that streak (once the NHL’s longest) fading into a distant memory. Meanwhile, the Denver Broncos’ home sellout streak, which began in 1969 and is one of the longest in professional sports, remains intact. So what’s the difference? How have the Broncos been able to continue to appease rabid fans while the Avalanche attendance has fallen off? The answer is quite simple: The Broncos have created a winning identity, and everyone loves a winner. Since Pat Bowlen purchased the Broncos in 1984, they have been arguably the most successful franchise in the NFL, consistently competing for championships. In fact, their eight Super Bowl appearances (seven of which came in the Bowlen era) are tied for the most in NFL history. Success on the field has become the expectation, and though they don’t always capture football’s ultimate prize, they consistently remain in contention. So much so that their resume earns them a pass amongst fans when they fall short of the playoffs (as they did from 2006-2010). The Avalanche don’t have that luxury. Sure, they did when they started in the Mile High City; earning it in much of the same way the Broncos did. The Avs won their division in each of their first eight seasons in Colorado, capturing two Stanley Cups. Unfortunately, that culture of winning has since disappeared. They have won but one division title since their streak ended in 2003-2004, the season immediately following the retirement of goaltender Patrick Roy. 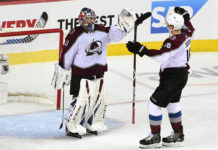 In the past five seasons, the Avalanche have qualified for the playoffs once, when Patrick Roy returned to Colorado as head coach and led the team to the Central Division championship in 2013-2014; riding the hot goaltending of Semyon Varlamov down the stretch. Last season, the Avalanche failed to qualify for the playoffs, falling back down to earth; leaving many to wonder (myself included), if the team’s success early in Roy’s tenure was sustainable, or simply an aberration. Unfortunately, as the team is currently constructed, I feel it may fall into the latter category. Sure, they may sneak into the playoffs this season and feature a fast and exciting offense, but if they want to experience long-term success, they should borrow a page from the Broncos’ playbook. The Broncos rode their top-ranked defense to their third Super Bowl championship. Now, they sit atop the football world. The Avalanche, on the other hand, have allowed the sixth-most goals and the third-most shots in the NHL this season. If you look at the Avalanche’s Stanley-Cup winning teams in 1996 and 2001, despite having offensive standouts such as Joe Sakic and Peter Forsberg, they also played defensively-sound hockey. In addition to boasting Roy in net, both teams also featured Adam Foote, who is arguably one of the best defensive defensemen in NHL history, as well as other adept defenders in their own end (i.e. Alexei Gusarov for the first Cup, Rob Blake for the second and Jon Klemm for both). 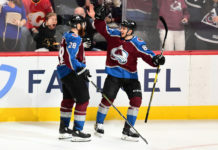 While the Avalanche currently boast a solid top pairing of Erik Johnson and Francois Beauchemin, the rest of their blueline leaves something to be desired. Nick Holden is a physical presence, but he’s prone to turnovers. Tyson Barrie is great offensively, but isn’t known for his defensive prowess. Chris Bigras shows promise, but is far from an established presence. Simply put (and with all due respect), if the team wants to truly contend for a Stanley Cup, names like Andrew Bodnarchuk, Nate Guenin, Zach Redmond, Brad Stuart and Brandon Gormley simply aren’t good enough. Colorado will support a winner. As the Broncos just proved, defense wins championships. It’s time that the Avalanche invest further in theirs.